A senior research scientist at Google quit after news of a search engine project in China leaked to the media. Jack Poulson, who worked for the research and machine intelligence department, ended his employment on Aug. 31, The Intercept reported. An Aug. 1 story by The Intercept about Google’s plans to build a censored search engine in China caused an uproar at the company. Sources leaked news of the project, which was only known by a fraction of employees. Poulson brought the matter up with his managers. He decided to resign by mid-August, seeing that Google would continue its plans. He did not want to be involved in a company that would censor information at the request of Chinese Communist officials, simply to re-enter the Chinese market. “Due to my conviction that dissent is fundamental to functioning democracies, I am forced to resign in order to avoid contributing to, or profiting from, the erosion of protection for dissidents,” Poulson wrote in his resignation letter, obtained by The Intercept. For Google to have access to the Chinese search market again, they would have to host servers and store user data within mainland China. Chinese authorities would have access to that data. Poulson fears this situation would be used to oppress political dissidents. 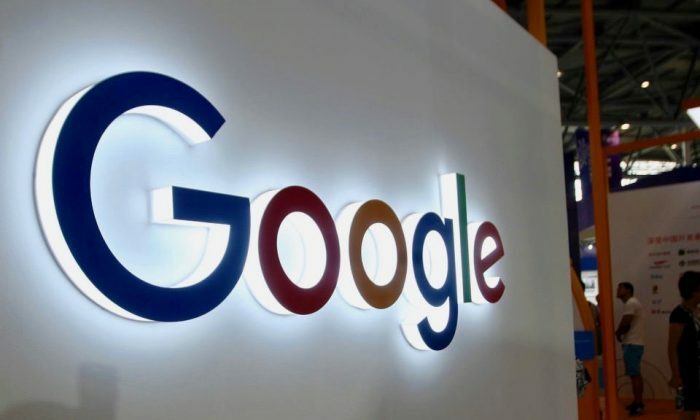 Google accused China of doing just that, when Google discovered China hacked the email accounts of political activists on its servers before their highly publicized 2010 pull out from China, according to reports from The Wall Street Journal and Spiegel Online. “I view our intent to capitulate to censorship and surveillance demands in exchange for access to the Chinese market as a forfeiture of our values and governmental negotiating position across the globe,” Poulson continued, in the letter, seeing how Google’s change of heart as a move that could set a bad precedent. Google has not addressed questions from human rights groups, journalists, and others about Google’s reversal on censorship. Employees inside of Google have also received silence from the company when seeking answers about the project’s ethical implications. Some have left the company along with Poulson. Google was praised when it left the Chinese market in 2010. The move was spearheaded by Google co-founder Sergey Brin. He credited the decision to his experience of spending his early years under the Soviet Union, and noticing the same authoritarian “earmarks” of oppression in Communist China. Google had operated a censored search engine in China from 2006 to 2010. An engineer who worked on that project wrote a letter in which he expressed regret in helping Google in its collaboration with Chinese authorities back then, and advised Google against going back. This is strictly worse than the censorship scheme created in 2006, because it is apparently planning to both store personally identifiable info about users, but also linking it to searches with this data stored within the PRC. He also offered an apology for being involved in Google’s first censorship project in China.